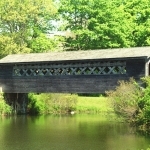 The Ludlow Greens Covered Bridge is the only covered bridge still standing in Suffolk County and is maintained by the owner and carries local traffic across a private pond. 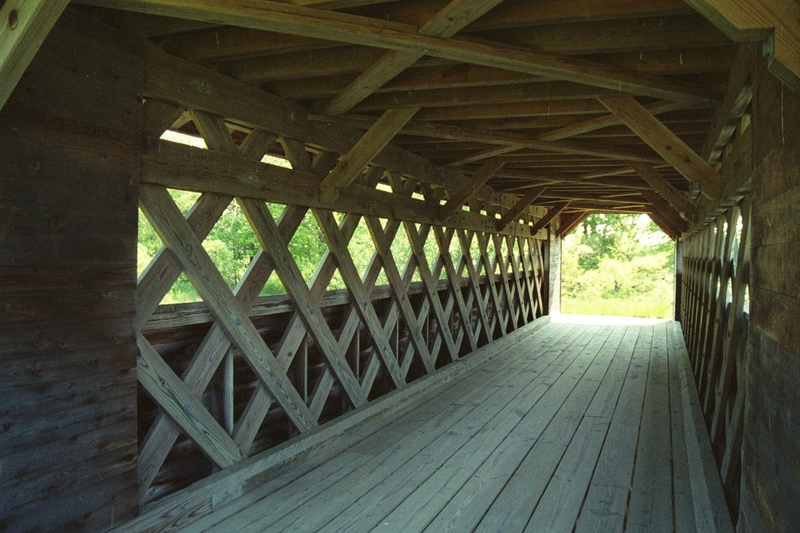 Built by Jonathan Foster in 1990, this 51-foot-long, single span structure incorporates the Town lattice truss design patented on January 28, 1820, and again in 1835 by Ithiel Town of New Haven, Connecticut. 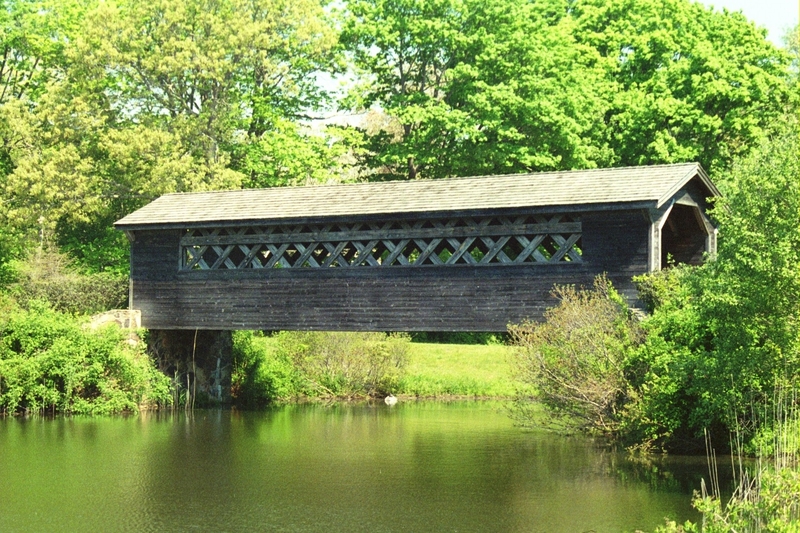 It is one of three covered bridges in New York State with horizontal siding. The Ludlow Greens Covered Bridge is located on Long Island, near Bridgehampton at the end of Edgewood Lane, and can easily be seen from the cul-de-sac. It serves as an entrance to a housing development. 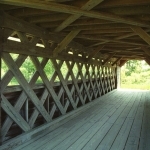 Other than the actual statistics, there is not a lot of history to share on the Ludlow Greens Covered Bridge since it was built in 1990, but it is well worth a trip to visit it.